My husband has been home from the hospital for almost a week now, with his new hip. 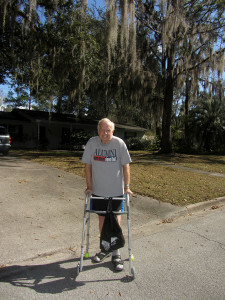 Already he is able to take short walks, and his pain is so much less than it was before the surgery. Being a caretaker is not as hard as I thought it would be, but it is time-consuming. So not much writing happening right now. More on my thoughts regarding taking care of one’s spouse after surgery will be coming up in a couple weeks on my blog over at misterio press. But I do have some book-related news. 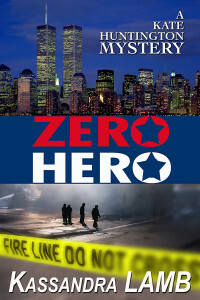 Zero Hero is out in paperback! I will have Multiple Motives out in paperback as well, as soon as the patient is a tad more self-sufficient. Here’s the link for the paperback and Amazon has it discounted at the moment for just $7.52. Also you can get the e-book along with the paperback for only an additional $0.99 through Amazon’s new Matchbook program. I’ll keep you posted on progress here at the Lambs!